Among the dozen there were two that caught my eye, this one, had so much character, as it was pretty much a two-tone white. It’s energy, prayerful, and if I could “solidify” that energy it would have felt like silk on the skin, almost soothing. This is perfect for a healer who is calm and needs discernment when they have to tell someone what they “see”. I ended up going home with the wand below. When placed against the rest, it actually stood out, blinking radiantly at me. 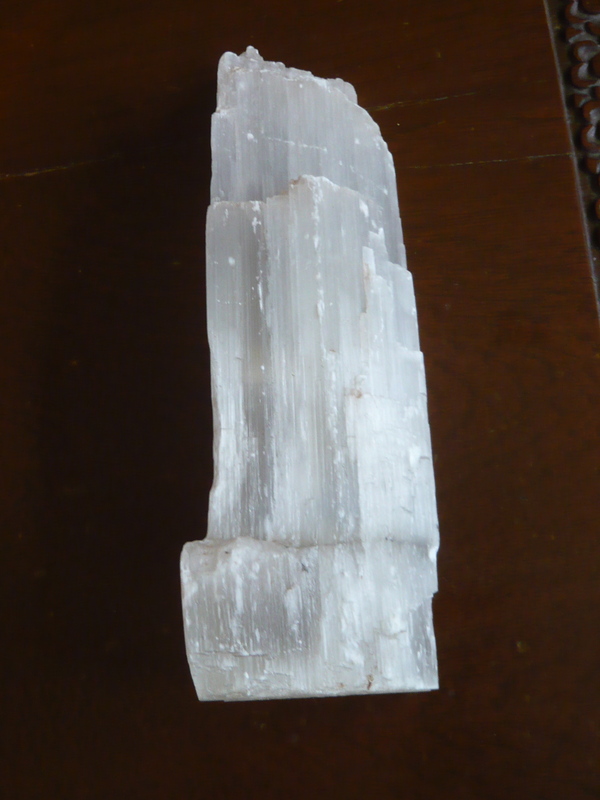 I’m not too keen on “milky” like crystals-only making rare exceptions like Selenite, due to it’s properties so this one seemed almost clear but had an inner glow. It was like it was housing an angel inside that shimmered and sparkled. Its energy gave off a more direct vibe, which is perfect for focused extractions, when the healer can pinpoint the source of a problem and it’s sharp edge is almost syringe like, drawing out the negative with more precision. It’s so beautiful, but I need to find a proper casing for it in order to maintain its form. 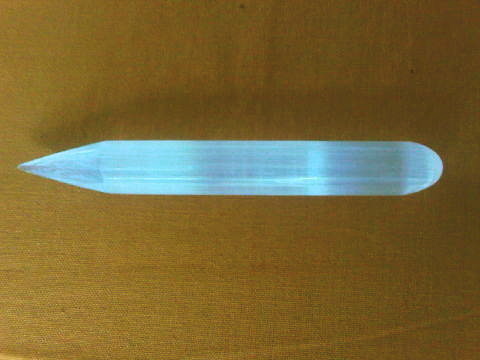 If healing is not your thing, but you’re in need of a crystal that can enable you to have better sleep, lovely, insightful dreams, or, something that will enhance your mediation and even protection. 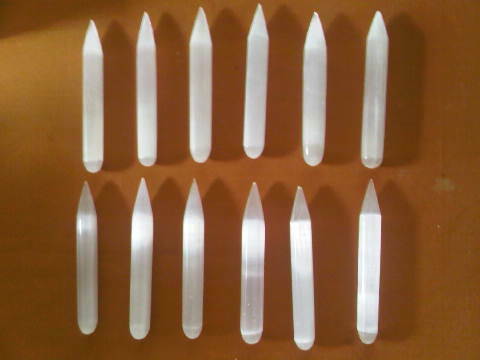 ( A selenite grid around one’s house is better than a kennel of Dobermans-without the danger of getting bitten) Then a selenite is high on the list of a must have stone. You can also find them in bracelet or bangle form or in tower form like the one below. Accessory Lab in Powerplant Mall, Rockwell has the bangle and tower ones, while I got the wands from a private collector. 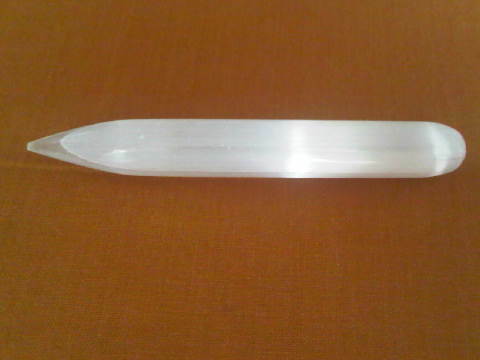 May you all your days be Selenite bright!